In consideration of POWDER SOUTH accepting my application for and permitting me to participate in a helicopter skiing trip on lands under their control in the metropolitan region, south and north of it, the following waiver of all claims, release from all liability, assumption of all risks, agreement not to sue and other terms of this agreement (“POWDER SOUTH Heli-Ski Waiver”) are entered into by me with and for the benefit of: POWDER SOUTH LLC. and their affiliates and subsidiaries. I am aware that avalanches frequently occur in the mountainous terrain used for helicopter skiing. If I use a snowboard or telemark skis, I am aware that there is an increased risk that I will not survive an avalanche if the snowboard or telemark skis do not have a binding release mechanism. I am aware that the risk of an avalanche is always present in helicopter skiing, that this risk cannot be completely eliminated by POWDER SOUTH and the Personnel, and that avalanche accidents may result from the failure for any reason (including negligence) of POWDER SOUTH or the Personnel to correctly determine the stability and safety of a slope for skiing or to predict where or when an avalanche might occur. In addition to avalanches, I am aware that the rugged mountain terrain used for helicopter skiing has many other dangerous obstacles and hazards including glacier crevasses, rock outcroppings, cornices, cliffs, heavily forested areas with fallen trees and tree stumps, creeks and boulders and also man-made hazards such as logging clear cuts, logging roads, road banks and fences that cross heli-skiing slopes; that these hazards may be hidden by snow; and that if I become injured or lost in severe winter weather conditions or difficult terrain there is a risk of delay in being rescued. I am aware that deep depressions (“tree wells”) in the snow beneath the trees on slopes used for helicopter skiing can be a serious hazard to heli-skiers. Heli-skiers ski in groups or with partners and I am aware of the risk of colliding with other heli-skiers and the risk of being separated from other heliskiers or becoming lost. I am aware of the risk of mechanical failure or operational error including pilot error in the operation of helicopters and that there are increased risks of helicopter travel in mountainous areas, especially in winter weather conditions. I am aware that weather conditions may be extreme and can change rapidly without warning. I am aware of the risks associated with transport through mountainous areas including rapidly changing road and highway conditions and the risks of using aircraft, motor coaches, vans and taxis which may or may not be owned and/or operated by POWDER SOUTH. I assume and accept all the risks and dangers of helicopter skiing and the possibility of personal injury, death, property damage or other loss as a result. I agree that, although POWDER SOUTH and the Personnel may take precautions to reduce the risks and increase the safety of helicopter skiing and to determine whether a particular slope is safe from the risk of avalanche or other hazards before it is skied, it is not possible for POWDER SOUTH or the Personnel to make helicopter skiing completely safe or to predict with complete assurance whether the terrain to be skied is safe from the risk of avalanche. I willingly accept these risks and agree to the terms of this POWDER SOUTH Heli-Ski Waiver even if POWDER SOUTH or any of the Personnel are found in law to be negligent or in breach of a duty of care or any other obligation to me in their conduct of any POWDER SOUTH Heli-Ski Trip. I am aware that the enjoyment and excitement of helicopter skiing is derived in part from skiing in powder snow on steep ungroomed slopes and is contributed to by the inherent risks of helicopter skiing. 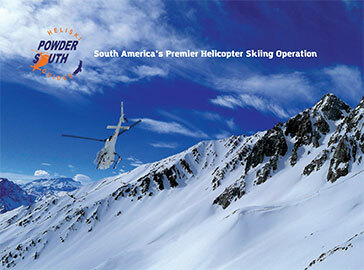 In signing this POWDER SOUTH Heli-Ski Waiver, I am not relying on any oral, written or visual statements of any kind, including promotional statements made by POWDER SOUTH in the “POWDER SOUTH Webpage” or literature or by any of the Personnel to induce me to go on a POWDER SOUTH -Heli Ski Trip. I confirm that I am of the full age of twenty one years, that I have had sufficient time to read and understand what I am agreeing to in this POWDER SOUTH Heli-Ski Waiver before signing it and that it will be binding upon my heirs, next of kin, executors, administrators and successors. I agree that the terms “helicopter skiing”, “heli-skiing” and “skiing” herein include snowboarding, mono- skiing, telemark skiing and other similar activities and the term “heliskier” includes snowboarder, mono- skier and telemark skier.